Born to Cuban exiles that fled Fidel Castro’s regime in the 1960s, Carlos Curbelo is a father, husband and former small business owner who has dedicated his life to serving his South Florida neighbors. Carlos grew up in Miami and attended John G. DuPuis Elementary and Belen Jesuit Preparatory School before graduating from the University of Miami with a Bachelor’s Degree in Business Administration and a Master’s Degree in Public Administration. After graduation, Carlos started his own public and media relations firm, where he would spend the next 12 years learning firsthand of the struggles small business owners face across the country. While his business continued to grow, Carlos knew he wanted to give back to his community, and in 2002 he co-founded Centre Court Charities, a non-profit organization that runs basketball leagues for South Florida high school students during the summer months. Carlos jumped into public service in 2009 when he was named State Director for U.S. Senator George LeMieux and took responsibility for overseeing staff in seven offices throughout the state while also advising the Senator on Latin-American policy and Hispanic issues. Shortly after, Carlos was appointed to the Miami-Dade Metropolitan Planning Organization (MPO), a group of community leaders tasked with prioritizing local transportation and infrastructure projects. In 2010, Carlos was elected to the Miami-Dade County School Board, which oversees the fourth largest school district in the country at the time. Together with his board colleagues, Carlos was part of a historic effort to improve the quality of education and put students and teachers first, resulting in major gains in student performance and graduation rates. 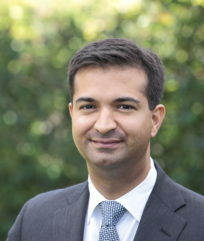 Carlos was elected to represent the people of Florida’s 26th Congressional District in 2014. During his first term, Carlos fought for common sense solutions and worked with Republicans and Democrats to improve the quality of life for the people of South Florida. Carlos was reelected in 2016 and is now in his second term and serving on the prestigious House Committee on Ways and Means, which is taking the lead on tax reform. Carlos lives in Kendall with his wife Cecilia and their daughters Sylvie and Carolina.